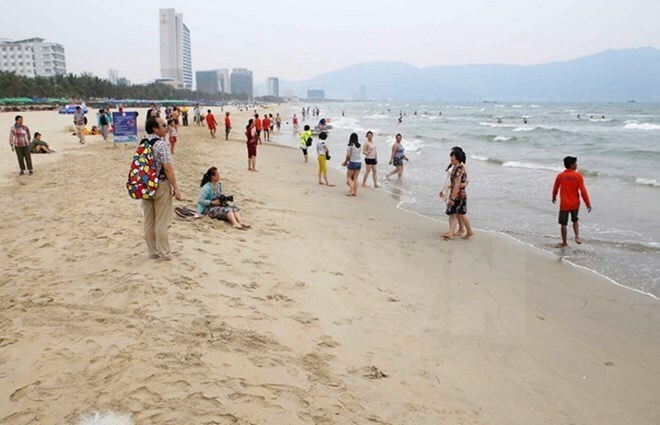 Quang Tri (VNA) – The marine environment in the coastal areas of four central provinces stretching from Ha Tinh to Thua Thien-Hue is basically safe, Minister of Environment and Natural Resources Tran Hong Ha has said. He made the statement at a conference in Hanoi on August 22 reviewing the current status of the marine environment following the massive fish death incident in the region in April. Under the frequent direction of the Prime Minister and Deputy PMs, a large number of scientists and scientific units from the Vietnam Academy of Science and Technology, the Ministries of Agriculture and Rural Development, and National Defence, and the Vietnam National University – Hanoi have been assigned to monitor and determine the level of pollution and marine ecological degradation, he said. According to the minister, the results of the report are correct and honest, and in line with Vietnam’s and international quality standards. The contents of iron, phenol and cyanide in sea water are mostly within allowable limits. The ecological system and marine resources in affected areas have shown positive signs of recovery, while the tests on seafood samples revealed reductions in the content of pollutants. In the near future, the Health Ministry will partner with the Ministry of Agriculture and Rural Development to monitor fishing in safe waters announced by the MoNRE. The Ministry of Natural Resources and Environment MonRE will also continue closely monitoring waste discharged by Formosa Ha Tinh as well as other industrial projects, production, business and service establishments in coastal areas, build a hi-tech database on supervising and warning of sea environment pollution while mobilising public involvement in the effort. A large number of dead fish along the coast were first discovered in Ky Anh township, Ha Tinh province on April 6, then spread to Quang Binh, Quang Tri and Thua Thien-Hue provinces. It is estimated that some 15 tonnes of natural fish and 2 tonnes of farmed fish died in Ha Tinh province. Meanwhile in Thua Thien-Hue, some 30 tonnes of natural fish died and were washed up on beaches. In late June, Formosa Ha Tinh accepted responsibility for the mass fish deaths. The pollution damaged about 400 hectares of coral and affected over 260,000 people who earn their living by working in sea-related activities.